This is the first time that the magnitude of this relationship has been quantified in the Australian context. The analysis of the unique dataset, led by Dr. Mark Hanly at UNSW Medicine’s Centre for Big Data Research in Health, was published today in academic journal Early Childhood Research Quarterly. Every year, thousands of Australian parents face a difficult decision: should they send their child to school or delay until the following year? In New South Wales, for example, children born January to July can start school aged 4½ to 5 years, or delay a year and start aged 5.5 to 6 years. For NSW children born August to December, this choice isn’t available—these kids almost always start school in the year after their fifth birthday, barring special circumstances. 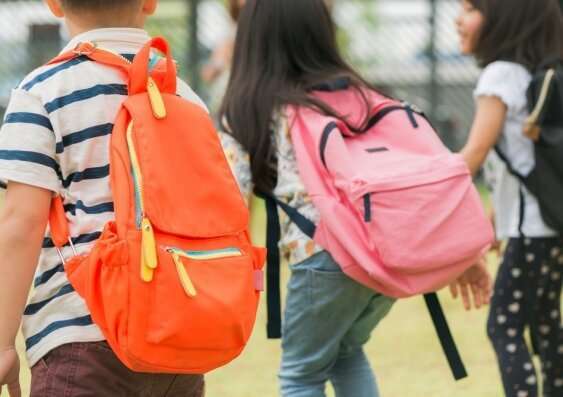 “Boys, younger children, and children from relatively advantaged families and neighbourhoods – particularly in Sydney – were more likely to delay,” says study director Dr. Kathleen Falster, of UNSW and the Australian National University. “When we compared their developmental data there was a clear trend: outcomes improved with each additional month of age,” says study lead Dr. Mark Hanly. “What the data really show us is that, on average, children who start school in the year they turn six are more likely to have developed the skills and competencies needed to thrive in a formal learning environment, compared with their younger peers who start school in the year they turn five,” Dr. Hanly says. While the study makes no policy recommendation, it is highly relevant to the ongoing debate about school enrollment policies – and the potential impact of those policies on children’s readiness for school, as well as classroom composition. “One policy option is to raise the enrollment age to remove the most developmentally vulnerable children from the schooling environment – which would also narrow the gap between the youngest and oldest children in a classroom,” says Associate Professor Ben Edwards from the Australian National University, early childhood education expert and co-author on the study. “For example, raising the school starting age may place added pressure on families to provide preschool care, or restrict work-force participation for parents. A later start to school may also have long-run effects on the age that young adults enter the workforce,” A/Prof Edwards says.